What is something God has done for you that you are thankful for or are celebrating? What evidences of his steadfast love and grace have you seen since our last meeting? Where are you experiencing stress or anxiety? How would you like to see God move in your life or in the life of someone close to you? Take some time to pray together as a group. 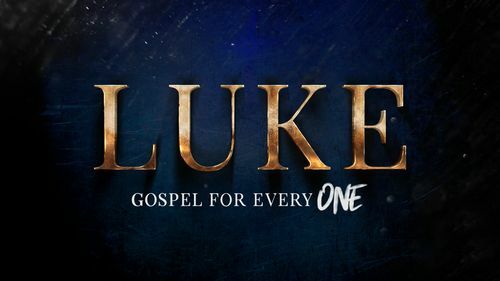 Read Luke 11:1-13 aloud. This may be a good week to break up into smaller groups of men and women. It is interesting that the disciples ask Jesus to teach them to pray. It implies that they didn’t quite know how to pray or what to pray, and it implies something similar about us. What are some of the barriers or challenges you face when trying to pray? How does it help you or comfort you to know that we can approach God as our perfect and loving Father? What does it mean for God’s name to be hallowed, revered, or glorified? Chris suggested a few ways to understand the nature of God’s kingdom or reign: Scripture, heaven, and the life of Jesus. So, what are we asking for when we pray for God’s kingdom to come? How have you seen God provide for you materially, financially, emotionally, physically or spiritually? Think about the forgiveness we have in Jesus. How does that truth impact our relationships with people, as we forgive them, and they forgive us? Satan is out to derail us. Where do you need the Holy Spirit’s help in fighting temptation? Jesus’s prayer in these verses also shapes our hearts. Chris mentioned that when we pray as Jesus prayed, we are aiming our hearts in this direction. What is one thing you want to do or change in regard to your prayer life?